One of the most significant contributions of Georgians to the war effort was the building of “Liberty Ships” in Savannah and Brunswick. Liberty Ships were made quickly, cheaply, and in large quantities to fill the critical need for ships to transport cargo and troops from the United States to the two war fronts. 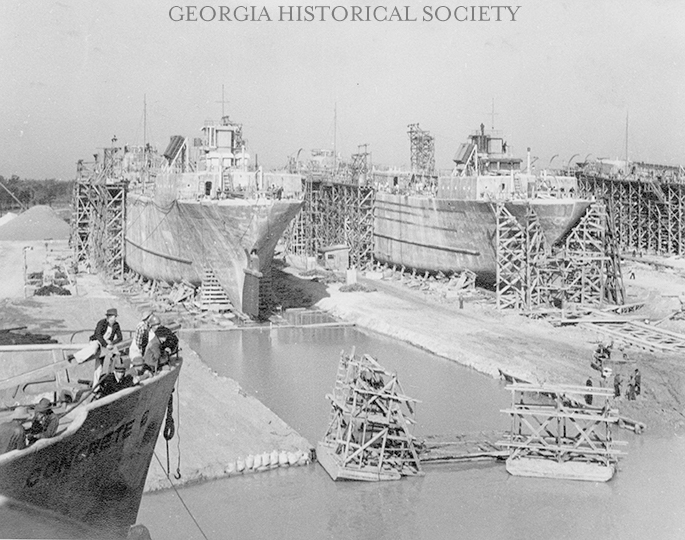 This image shows ships being built at the McEvoy Shipyard in Savannah.